Architecture turned into enjoyment and participation. 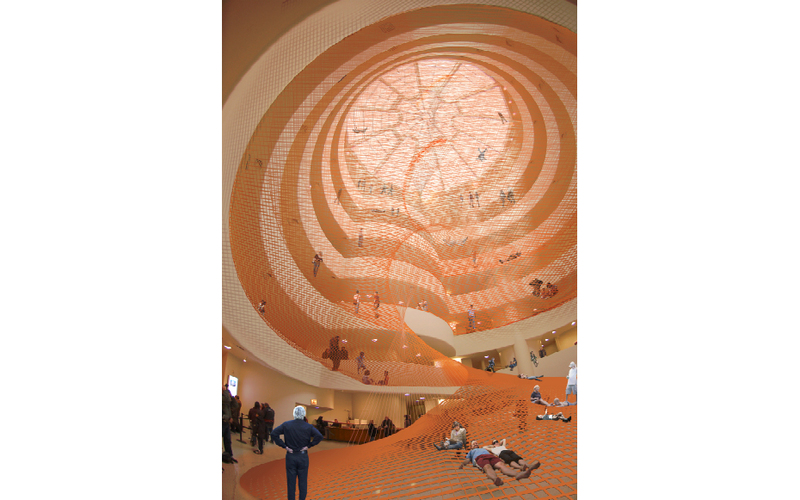 Instead of contemplating the void, we propose to “experience” it by letting a trampoline net spiral down the rotunda space. 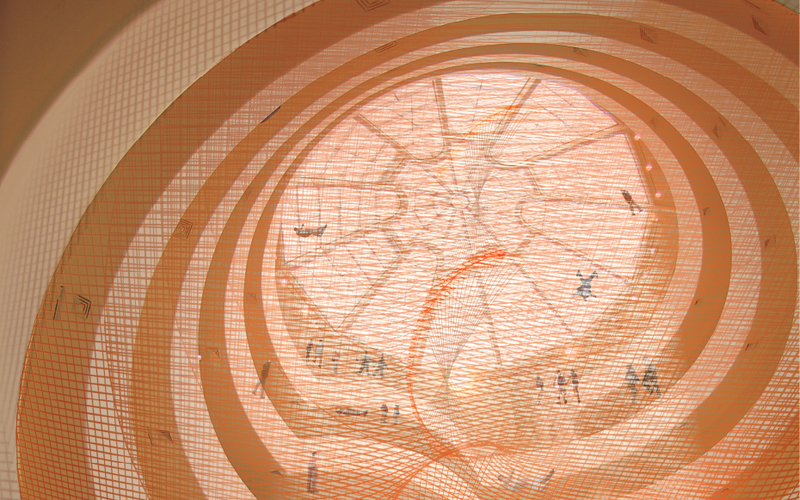 The experience plays on Wright’s original scenography of the Guggenheim to visit the exhibition downwards.